Last weekend the temperature topped out in the 80s. 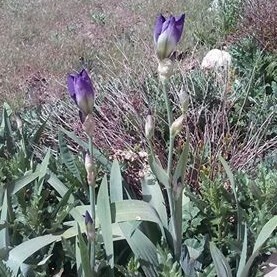 The warm weather has helped to encourage the irises in our front yard that the time has come to bloom. Yet today we’re looking down the barrel of a major snowstorm for a Mother’s Day forecast. Welcome to springtime in Colorado! Happy Teacher Appreciation Day! Let’s All Cheer for Performance Pay! North Carolina to Follow Colorado’s K-12 Open Enrollment Policy Standard?